The City of Perth was once the capital of Scotland. Always referred to as the ‘Fair City’, it is without a shadow of a doubt, one of the most charming places in Britain. It’s a while since I’ve been here, maybe about five years or so, but I hope to return soon. 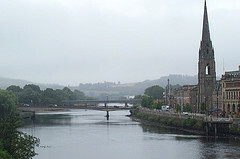 The City of Perth is situated on the east side of Central Scotland, on the banks of the River Tay, and most of my recent travels have taken me up the west coast. I’ll tell you this though, when I do return I hope the city hasn’t changed all that much, because it really was a delightful place to visit, and the people were nice. If visiting, you’ll find that Perth is ideally situated for access to Dundee, Aberdeen, Fife, Edinburgh and Glasgow. You may want to consider hiring a car, but if not, there are plenty of bus and train links to all of these places. Visitors are well catered for in Perth …..
You should find enough in Perth to keep you there. 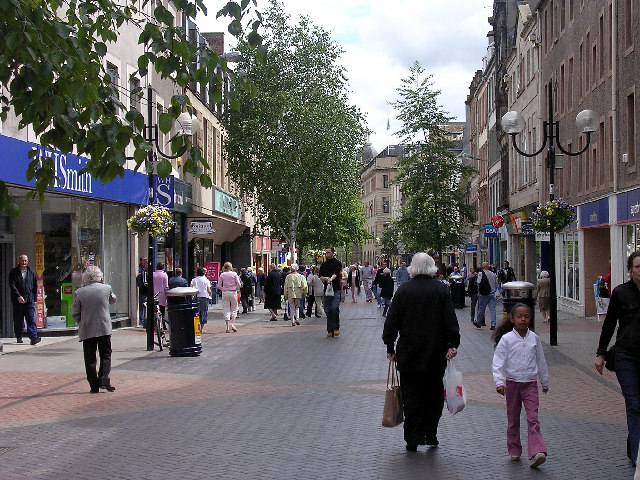 The city centre is quite compact, great for shopping, and the two main thoroughfares, the High Street and St John’s Centre are pedestrian only. In nice weather I can recommend a stroll in any of the parks, especially the two main ones, North Inch and South Inch. It’s ideal for visitors, with a good selection of hotels, guest houses and bed & breakfast accommodation, and you will also find lots of bars, coffee shops and some very good restaurants. There’s a host of attractions in Perthshire, and they include Glengoulandie Country Park, by Pitlochry, with great wildlife to be seen, and Noah’s Ark Theme Park, a fabulous fun day out for the kids. Then there’s the Caithness Glass Visitor Centre, and in nearby Crieff, The Ceramic Experience is a good day out. There are a number of Whisky Distilleries around Perthshire, and a distillery tour goes down a treat with whisky lovers. If you visit in August you can take in the Crieff Highland Games. Perth also has a racecourse, located within the grounds of Scone Palace. Perth Theatre is handily placed on the High Street, and at the top of George Street you’ll find the Perth Museum and Art Gallery, thought to be one of Scotland’s oldest museums. Perth is rich in history and architecture …..
Scone Palace has played a significant role in our history, and is a popular attraction. 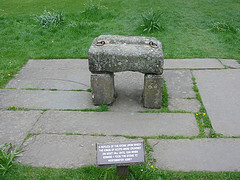 Many Scottish kings were crowned here, most notable being Robert the Bruce. The Palace is now home to the Earl and Countess of Mansfield, and it certainly is worth a visit. It’s open to the public daily from March to the end of October. The visitor centre has a restaurant, coffee shop, gift and food shop. There’s a charge for entry to the Palace and grounds. 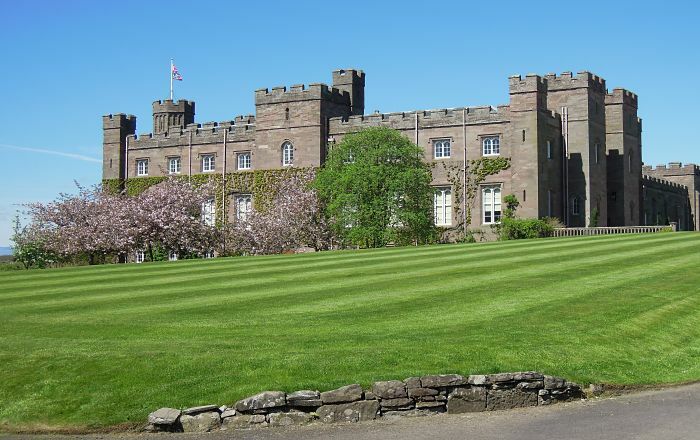 I should mention that Scone Palace is pronounced (“Skoon”). The Stone of Destiny ….. The original Stone of Destiny was stolen by King Edward I in the 13th century, and it was taken to Westminster Abbey in London, as spoils of war. In November 1996 it was safely returned to Scotland, and placed in Edinburgh Castle where it remains (at the time of writing) although there are calls to have it returned to its ‘rightful’ place. The inscription on the Plaque reads …..
‘A replica of the stone upon which the Kings of Scots were crowned on Moot Hill until 1296 when Edward I took the stone to Westminster Abbey’. Does the City of Perth have a castle? It will probably come as no surprise to you that Perth does have a castle. Well, strictly speaking, Balhousie Castle is not really a true castle, although it does have a 16th century tower house. 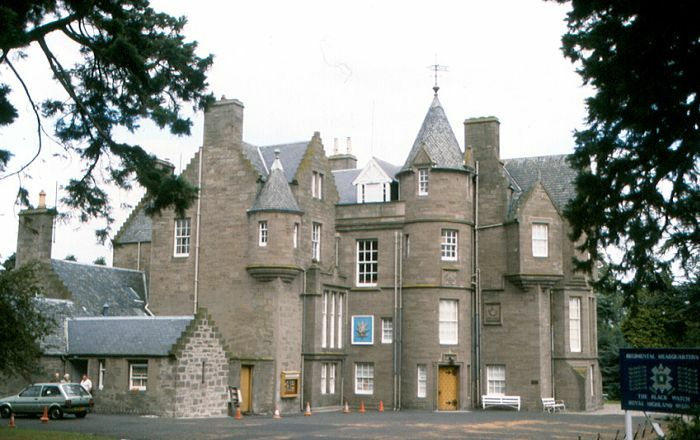 Altered and extended when rebuilt in 1862, it retains little of its original character, and since 1962 it has been the regimental headquarters and museum of the Black Watch. The museum is open to the public, with a huge collection of medals, uniforms, pictures and military memorabilia on show, and entry is free. The City of Perth is definitely worth visiting, for the fabulous museums, enthralling history, great shopping, and as an ideal base for exploring Scotland. I’ll be back. *Note – Perth was granted City status by Her Majesty Queen Elizabeth II, as part of Her diamond jubilee celebrations in the year 2012. Congratulations Perth! 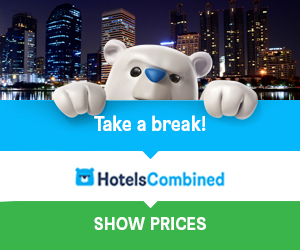 Find A Hotel In Perth. Different providers, different prices, and user reviews. Save time and money, search them all here for the best deal.